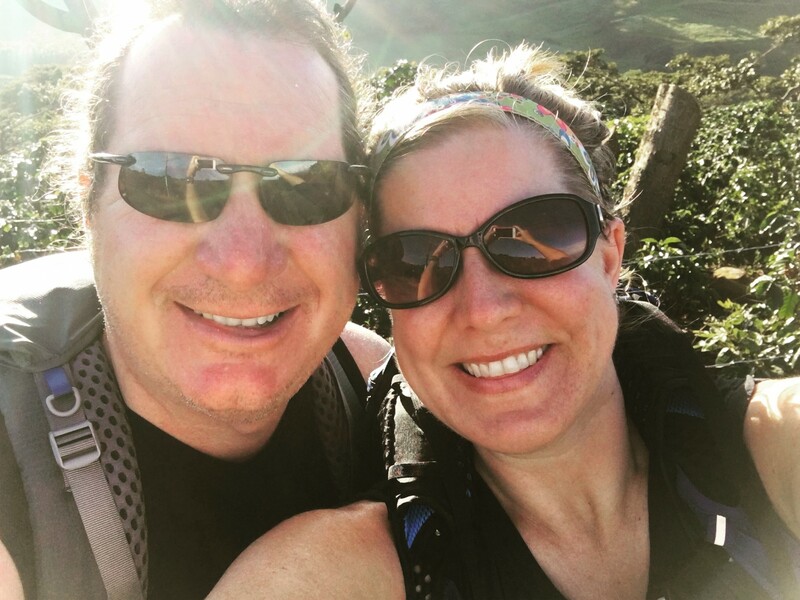 When Greg & I were living in Costa Rica, we started hiking daily. We lived in the perfect place with our own personal stair-master: the central valley at an elevation of 4700 feet had nothing but hills and mountains to hike in. There was literally no place flat around where we lived. We loved it because it was a time we could be together and brainstorm or talk about ideas (usually for our books or articles we were writing) without electronic interruptions. Also it was a great workout. We’d do it first thing in the morning BC (before coffee) and we felt good after working our bodies out. We’d come home, shower, start a pot of coffee, and then start working on our tasks for the day feeling totally refreshed and accomplished. Costa Rica was not our first time hiking. Shortly after we married in 1995, we moved to Denver, Colorado where we spent 2 years working, living, and hiking in the foothills just outside of Denver. We fell in love with being outside and one with nature. After moving back to Dallas, I went on two hiking trips with New England Hiking Holidays (sadly, they no longer exist) – one in the Rocky Mountains of Colorado, and one in the White Mountains of New Hampshire. These were guided trips and we had a choice each day of doing an easy hike or a more difficult one. We’d hike all day and then spend the night at a nice inn with a lovely dinner before heading out to hike the next day. My first (and only) time of being on the Appalachian Trail and seeing a white blaze was in the White’s. 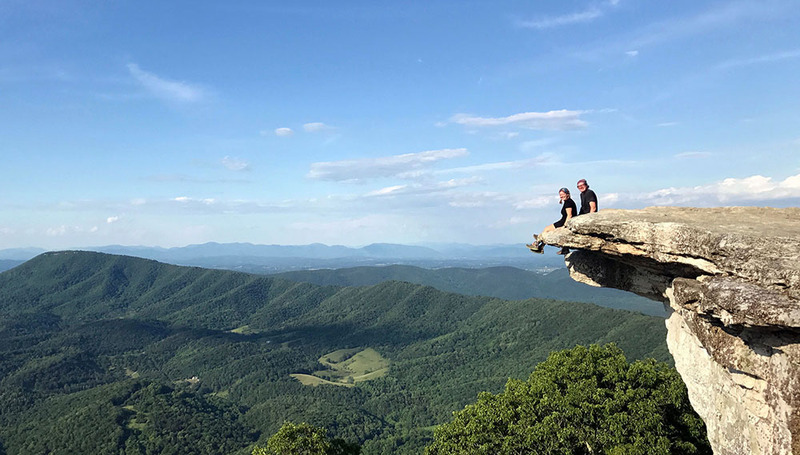 Greg & I had always known about the Appalachian Trail, and Greg had often dreamed of doing it, but I always brushed it aside as something I would never be able to do. I mean, being dirty and filthy and muddy all the time? Wearing the same thing every day and only washing it once a week? Not to mention mice and spiders and snakes and bears… It was just never worth my time to even think about it. Sure, I always admired hikers who would thru-hike[note]a “thru-hike” is an entire hike of the Appalachian Trail, all 2,189.1 miles of it, in the course of a 12 month period. [/note] the AT, but not in my wildest dreams did I think I could do it; or more precisely, that I would want to. Since quitting our corporate jobs and moving to a foreign country, I now feel more empowered to do those things I never even entertained the thought of being able to do before. I feel more confident and adventurous. And while Greg has joked about doing the AT, he never entertained the idea of actually doing it. Also he didn’t want to do it alone and leave me for 6 months (can you blame him?). But together, we think we stand a chance. It will be a huge challenge and adventure for us. The time in our lives is right – we still don’t have jobs or possessions tying us down. Actually, we are virtually homeless (thank you, Mom, for taking us in for a few months!). We feel (pretty much) in shape and we have no health or physical problems with our bodies right now. We are both so excited for this adventure and live and breath it daily – from talking about gear and things that might happen on the trail to watching videos of past thru-hikers and reading books. And the biggest indication that we really want to do this – we both dream about it! And not in the scary nightmare kind of way. We cannot WAIT for March to get here. BRING IT ON. So inspiring! I love hearing the story of how you got to this point. And as always, your preparation is stellar! Best of luck to both of you, dear friends. I can’t wait to send my first package! I originally read Bill Bryson’s book many years ago (when it was first out) and felt this vague interest, but having NEVER been a hiker, it was and I’m sure always will be nothing beyond that. But it’s really been fun hearing about your plans — I’ve read several additional newer books and am really looking forward to following your adventures. Interesting, isn’t it, how even though so many of us don’t end up *staying* in Costa RIca forever, the life change of moving there can sure have other unexpected results. I’m excited for you guys that this is the next challenge in life for you! Thanks so much Arden! And I totally agree with you on how moving to Costa Rica (or any foreign country, I’m sure) can totally change us – in a good way! It means a lot to us that you are following and excited for us. Thank you!! Jen, We are friends of Lynette and Marks and met you when we visited Costa Rica to see them a couple years ago. We will be following your adventures and look forward to hearing what you learn, what you see, how fast you can run….in mean walk…and how this will most certainly bring you closer together and prove that you guys are the most adventurous people we have ever met. Happy trails!